I did the same basic pattern for a friend/co-worker (& her husband) for their wedding. 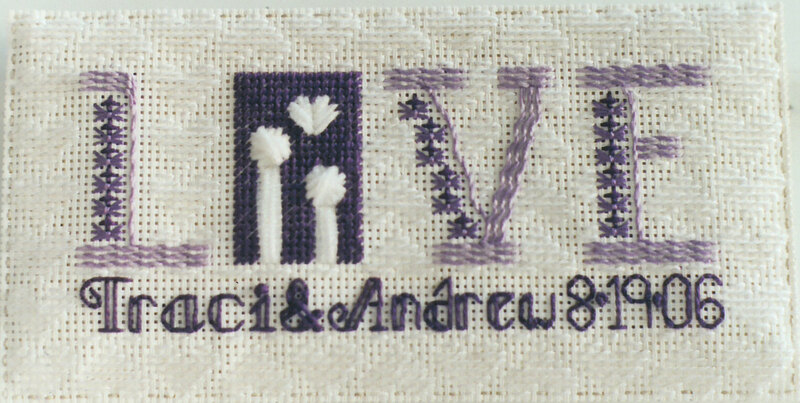 It’s the same design as mine & not that I didn’t have enough pins or an appropriate one to use, but the design for the O was an original design from their wedding invitations. And, she’s actually the taller figure on the left!! The back of hers was done differently than most. Since June is the wedding theme, I’ll post mine 4 months to the day early. After however many years this has been . . . I have to stop & do the math . . . 23 years!! I knew I was more than 20 but less than 25. This is a “Pinsations” original design & stitch selection. The pin is added to the piece so that the pin can be removed, worn, & replaced. I made this to see if I could get something to recreate for other folks as wedding gifts. 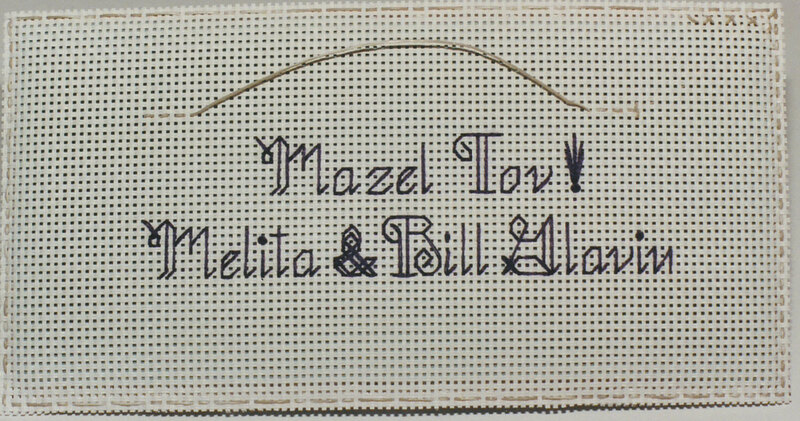 I only had two other weddings worthy of creating a piece of needlework since I did this & one I did differently (you’ll see). I’m using whipped running stitch for the light blue part of Love & not sure I found this combination of stitches for the dark blue parts or made it up myself. The heart darning stitch for the background.